DAMASCUS: Buses delivering mostly Iraqi pilgrims to pray at the mausoleums of revered Shi’i saints in the area of Baab Al-Sagheer Cemetery between Baab Musallaa and Baab Al-Jaabiya were attacked first by an IED device which was remotely detonated and followed by a suicide bomber wearing an explosive belt. The cemetery contains the tomb of Umm Kulthoom, the daughter of ‘Ali Ibn Abi Taalib and that of Sukayna the daughter of Al-Hussayn bin ‘Ali Ibn Abi Taalib. In typical terrorist fashion, the suicide bomber waited a few minutes for ambulances to arrive and people to gather before detonating his largely C-4-loaded belt for maximum effect. The nature of the explosives used in the IED pointed to a state actor. This was C-4 (Semtex) with “military grade” TNT which had the chemical fingerprints of Saudi Arabia. The attack took place around 12:00 p.m. during the height of daytime traffic. It also took place as the Syrian Army was moving ever closer to the arterial nexus of Al-Qaaboon which gives the Saudi-created and Saudi-supported terrorist organization “Jaysh Al-Islam” its one last buffer before the army explodes into Doumaa to eradicate the Wahhabist cockroaches. The Interior Minister, Maj. Gen. Muhammad Al-Sha’aar, was immediately on the scene to inspect the carnage visiting several hospitals to express his condolences to the wounded at the Damascus, Al-Muwaasaat and Mujtahid Hospitals. The Interior Ministry controls 3 major Syrian intelligence and security agencies which have been tasked with making a thorough investigation as to how these terrorists evaded the security cordons around the capital and to identify absolutely the perpetrators. The Iraqi government was granted permission to send a medical team to help with the treatment of the wounded. They are expected to arrive today. The numbers of dead and wounded have varied hour by hour for obvious reasons. At first, the number was 28 dead as announced by the Director of the Mujtahid Hospital. Later, we would hear that the number had increased to 33 dead and a 100+ wounded. After that, the reported dead increased to 40 and, then, 45 with 120 wounded. The day before yesterday, in an act clearly meant to provoke the army, JI terrorists fired mortars and rockets at Damascus striking a building behind the Daar Al-Shifaa` Hospital in the Al-‘Adawi area. 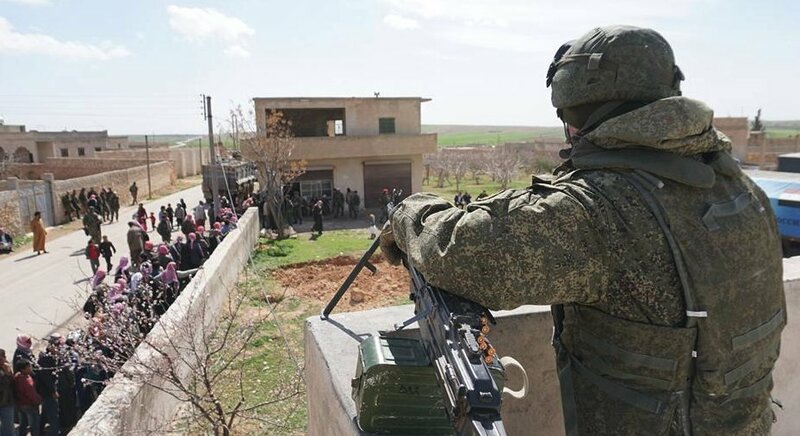 The reason was to give cover to the terrorists who carried out the atrocity of yesterday and to respond to the SAA’s successful push into the Eastern Ghoutaa. 3. The Syrian Army Intelligence unit intercepting the talks between the JI and the Saudi apes learned that Jaysh Al-Islam had no “intihaariyyeen” (kamikazes) to carry out the vaguely described operation and that they needed every rodent to fight the Syrian Army’s onslaught in Al-Qaaboon. 4. 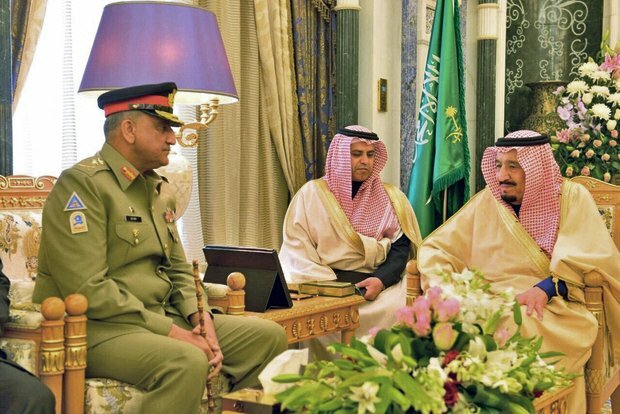 The Saudi officers had a ready plan for this contingency. They got into contact with Nusra/Alqaeda west of Der’ah who provided both the IED operator and the suicide bomber. The bomber had to be an Arab in order to get past the dense security networks around the capital. The imbecile was found and prepared for the operation. He evidently received a crackpot form of fake-Islamist extreme unction and given the kiss of death. The Syrian police and security services are combing the area around Baab Musallaa to find the one who remote-detonated the IED. He is believed to be still at large in the area. 5. Other sources of information were Jordanians who regularly contact Syrian Intelligence. They reported that the Saudis and English terrorist-enablers cheered when they heard the operation was a “success”. 6. The Syrian government has informed the Iraqi government of what it had learned. Expect some very icy responses from Iraq shortly. The Syrian government tried to cover up the fact that Iraqi Shi’i pilgrims were the target of the attacks by announcing that “citizens of different Arab countries” were the victims. 7. Syrian intelligence could not predict where the operation was to take place, but, thought it would occur in another large city less secure than Damascus. The Saudis, with British connivance, used a type of code which cloaked the actual location of the operation. Monzer tells me that the SAA-MI unit thought the attack would occur while the buses were on their way to Damascus. That Saudi morons could actually put together a plan that would take place in the capital infuriated General Al-Sha’aar. But, don’t forget general, the Saudis had help from the ever-evil British and Zionists. Note: The Saudis have not condemned the terrorist operation. Waadi Al-‘Udhayb: At the Al-Sabboora Axis in northern Hama. Civilians who are sickened by the presence of cannibals and heretics sent information to the authorities about a truck filled with weapons and explosives. The SAA set up an ambush for the truck 1 km deep into an area controlled by Nusra/Alqaeda. It was an Isuzu trucks carrying 5,516 23mm cannon shells, 111,780 PKC machine gun shells, 200 RPG rockets and scores of assault rifles. The driver is now warbling about his unfortunate assignment. ALEPPO: Just a note. The critically important town of Al-Khafsa has been liberated and will act as the springboard for more SAA victories in the area. Oh WOW I just had no idea…. I am really really shocked and amazed.. I am even flubbergasted and gaslighted.. Such a sad thing eh ? In the meantime “Trump sent in US special forces to rescue two top ISIS commanders’ I see Trump really fighting terrorism eh? Dear Ziad, OUTSTANDING article—as expected from you always. Wonder if it was Semtex instead of the equivalent C-4, but with this difference: Semtex is DIFFICULT to detect. For instance, dogs (security) can practically NOT trace it. Saudi Arabia you say? Who would have thought it? Does not reflect favorably on the general heading the Security, what are the chances these are the same SA operatives he let escape the East Aleppo cauldron? This violence is generally a sign that the rats are losing and desperate. It’s not a fun article to read Ziad, but it’s better than being ostriches. In UK Parliament, hopefully final vote to clear Brexit article 50 tomorrow. Geert Wilders and Marine le Pen next. I see Pauline Hanson flopped in the Western Australian elections and so did the crazy premier who spent like King Ludwig. I’m not surprised. the Saudi’s are doing all they can to obey their Washington DC masters. Trump is not the leader yet….even if elected. The Deep State CIA is in charge. All should see from this attack on civilians that there will be no peace or life as long as US backs KSA. A horrific act that saddens me immensely. This is what happens when irrational sectarian hatred (whether religious or ethnic) runs amok. No doubt, certain infiltrators from Stormfront will offer crocodile tears at the act while simultaneously actively promoting such devilish mindsets. KSA is under tremendous pressure lately. UAE has given an ultimatum to KSA to stop the criminal war in Yemen, and all seems to point out that KSA has lost most of the connection with Iraq, though KSA is desperately trying to reconnect, there will be push back by the Iraqis after the above revelation. Turkish regime has condemn the terrorist attack in Damascus, this is a first in 6 years, a good sign of cracks within the coalition of killing. Thank you Ziad for the details of this murderous attack. looks like the work of the pentagon to me. remember when the us was “leaving” Iraq? they had to make sure that the “terrorist” narrative was alive and well to make it look like there was a proper reason to have ever have been there. in the last 15 years they have actually managed to create a large powerful so called “terrorist” army of mercenaries. all of this is just to justify the war without end, murder for profit and everyones favorite, the new world order. 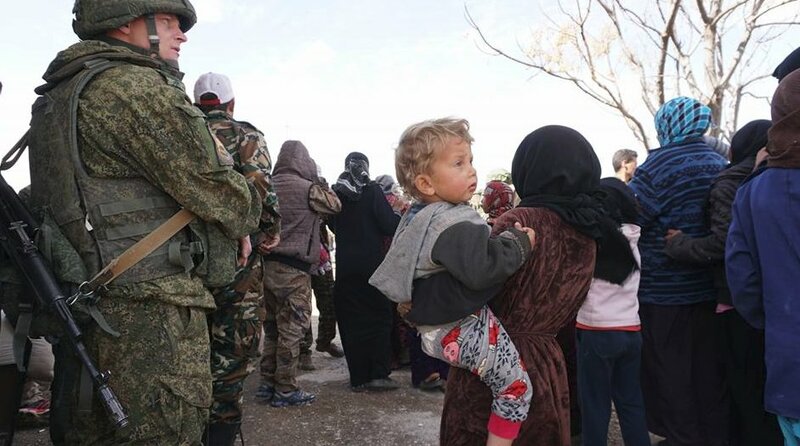 Russian army distributing aid in Arima, west of Manbij. The Persian Empire will open a naval facility in Syria. It will be staffed with 1 million invincibles and 300 Spartans. Half a century after United States B-52 bombers dropped more than 500,000 tonnes of explosives on Cambodia’s countryside Washington wants the country to repay a $US500 million ($662 million) war debt.